Cogeneration (Combined Heat & Power, COGEN or CHP) is world recognized as an efficient, reliable process for recycling energy for heating and cooling processes. Low operating costs, quantifiable environmental benefits and government recognition are leading to a surge in the number of COGENplants in Australia. SEDA Services is involved from inception to completion, ensuring the systems are brought online smoothly and on time. SEDA stays with the project for as long as necessary to ensure it operates at optimum efficiency for the client. SEDA Services in-house NABERS assessors, qualified engineers and technicians keep up-to-date with national and international developments. We are at the forefront of technology to help you assess and fine tune your systems to make sure that you meet your NABERS, BEEC and Green Star obligations. 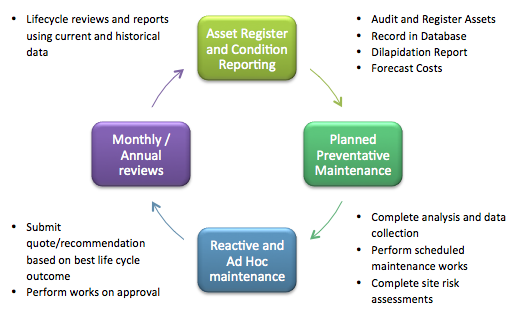 Our SEDA Environmental Performance Solutions range in complexity and include: SEDA Efficiency Audit and ROI Plan, with in depth analysis into each of your assets by completing an energy, water and gas audit, monitoring performance and advising you on an upgrade or replacement plan. SEDA NABERS upgrade advice from the design phases through to delivery, ongoing monitoring of trends and continuous improvement. SEDA Services has implemented a client focused solution to provide customers with a real time, paperless alternative to the traditional service docket and paper based reporting system. It is based around tablet technology communicating directly with a leading service industry software package, “The Service Manager (TSM)”, customised by TSM programmers to suit the requirements of SEDA Services and our customers.